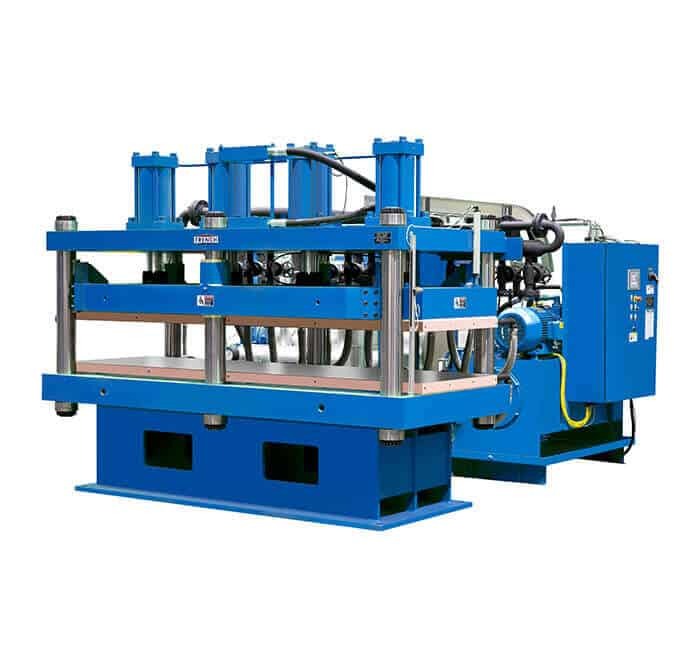 French column hydraulic press models, also known as 4-post hydraulic presses, employ many of the same superior engineering and design features of French sideplate presses. Each press can be custom-engineered to meet your unique specifications. 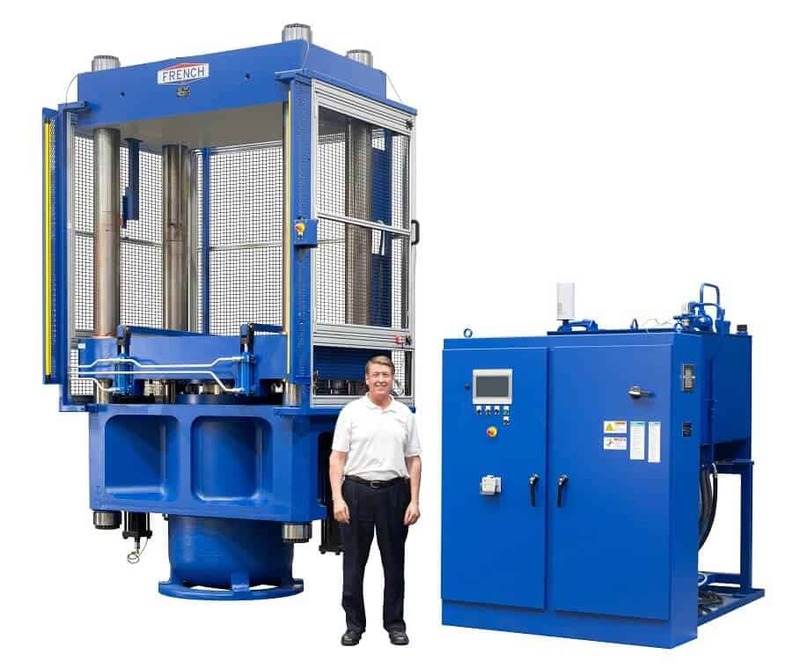 French column presses have low deflection, offer 30 to 2,000 tons of pressure and can interface with the latest automation technology to reduce your labor requirements and overall cost per part. 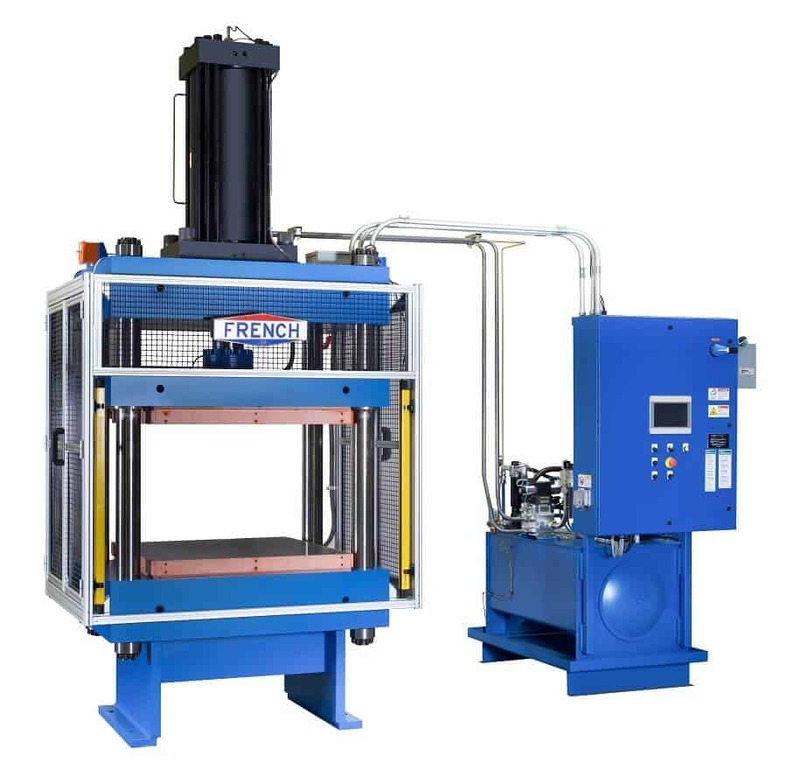 French column hydraulic presses come in up or down-acting configurations and can be designed as a transfer molding press, composite molding press or compression molding press to fit your molding requirements. We want to learn more about your business and discuss your manufacturing requirements so we can work together on improving your process. 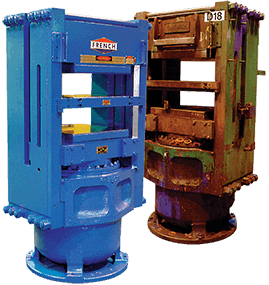 Contact us to learn more about our column hydraulic press capabilities.